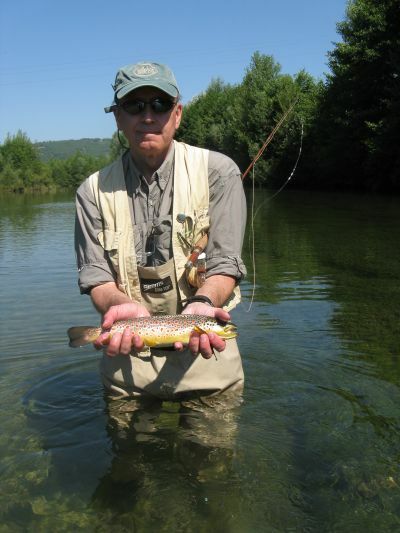 This magnificent tail water derives from the Montedoglio reservoir and it has been declared one of the top ten fly fishing beats in Europe. 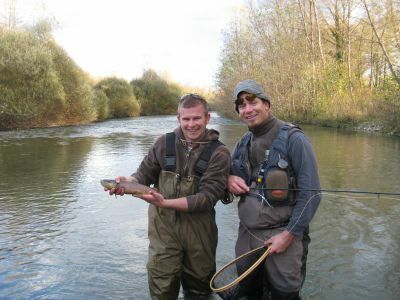 Its cold waters are the ideal breeding ground for a wonder population of Brown Trout and Grayling - the most southern population of Grayling in Europe. From Scotland with a vengence! My wife "dragged" me to Italy for two weeks and I am pretty sure we saw every church and museum that they have to offer. 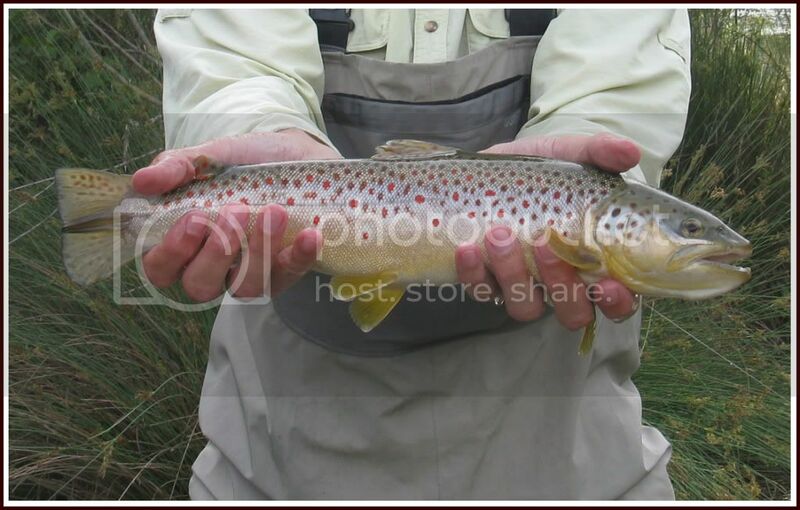 I was able to squeak in one solid day of fly fishing to mix things up though! I decided that with only one day to fish it would be silly not to get a guide. 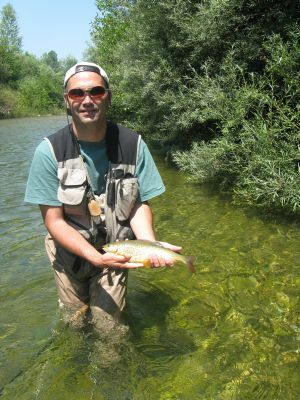 I decided on Moreno Borriero of "MB Rods" (www.mbrods.it) as our guide. I found some online praise of his skill and craft, and after about 15 emails back and forth setting up the details I knew he was my kind of guide/guy. He did not disappoint. Besides being a fantastic guide he is also one of the most genuine people I have ever met. I just can't say enough about this gentleman. 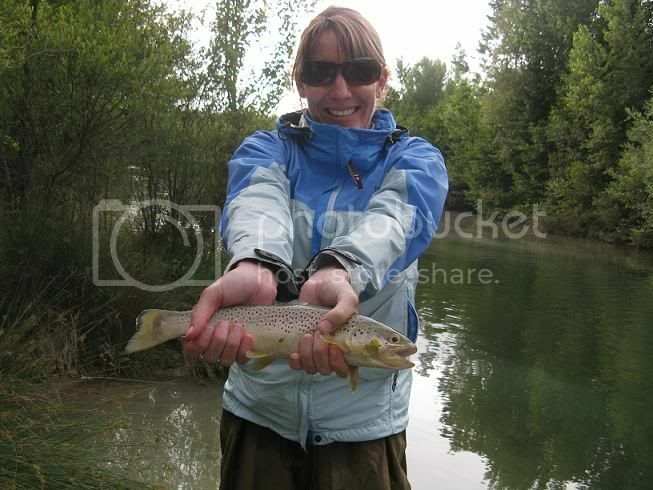 The fishing was grand, but getting to know Moreno was worth the price of admission alone. 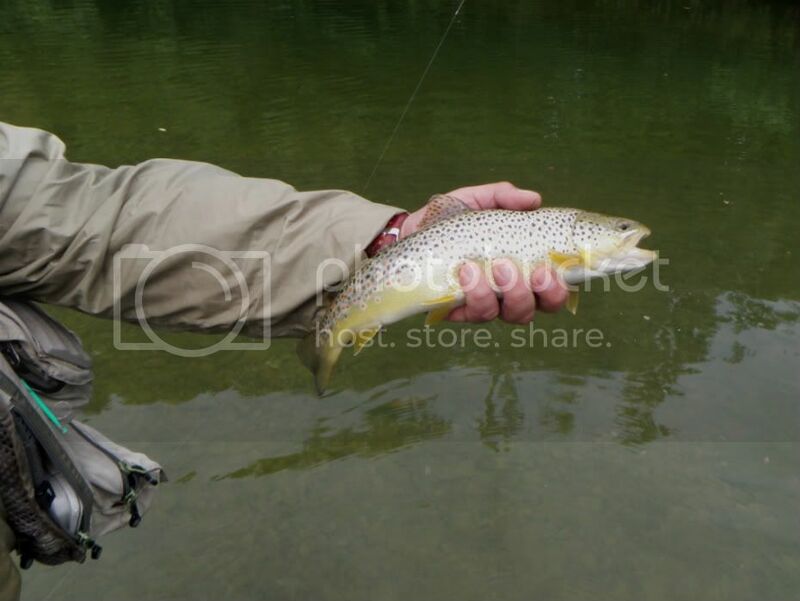 I will remember my day of Italian fly fishing and our guide for the rest of my life. 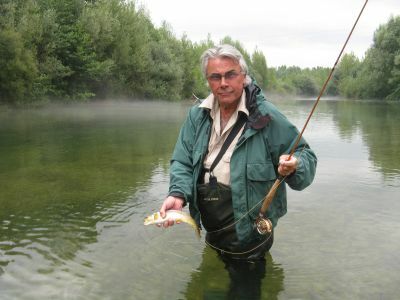 Not to over expose Moreno but I just thought I would mention that he is also a very well regarded bamboo fly rod maker. 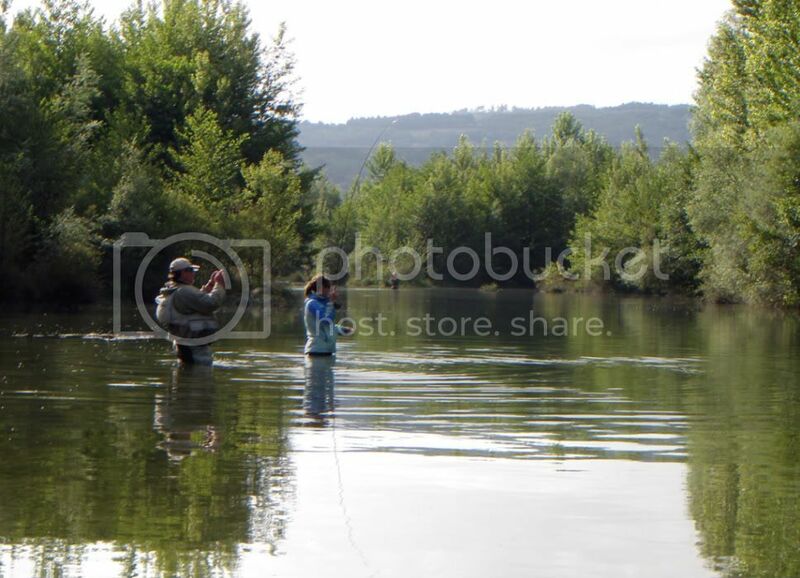 Ok, on to the fishing and photos. 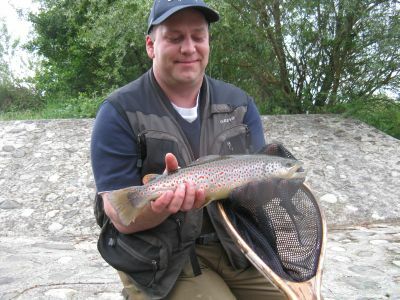 We decided on the Tevere tailwater in Tuscany since we were to spend 6 days in that region. The day started out overcast and rainy. To me there is no better fishing weather than a overcast day with a slight drizzle. There is just something peaceful about it. 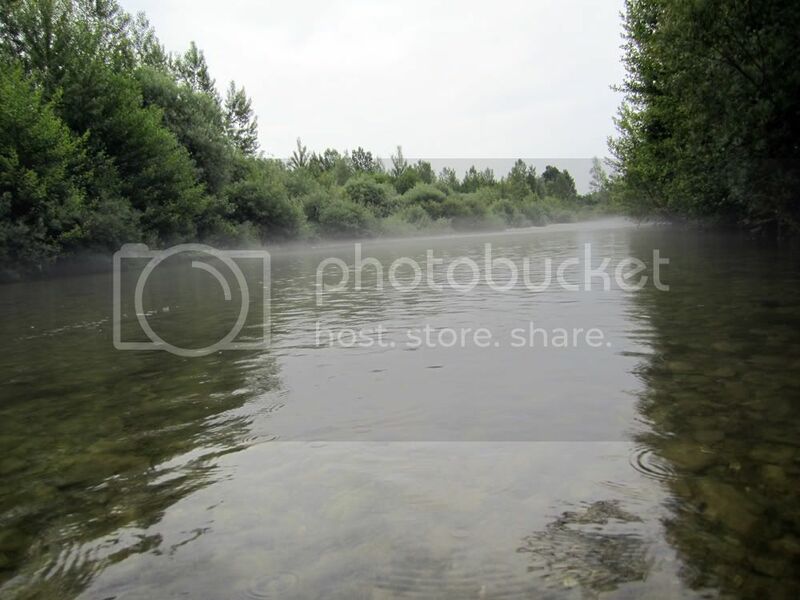 And a cool byproduct of that on Italian rivers is the eerie fog that rises off the river during a rain. Our guide picked us up at our bed and breakfast at 7am and we started fishing about 4 miles below the dam at around 9:30am. I am living in Colorado now and our tailwaters are cold and this water was as cold if not colder. 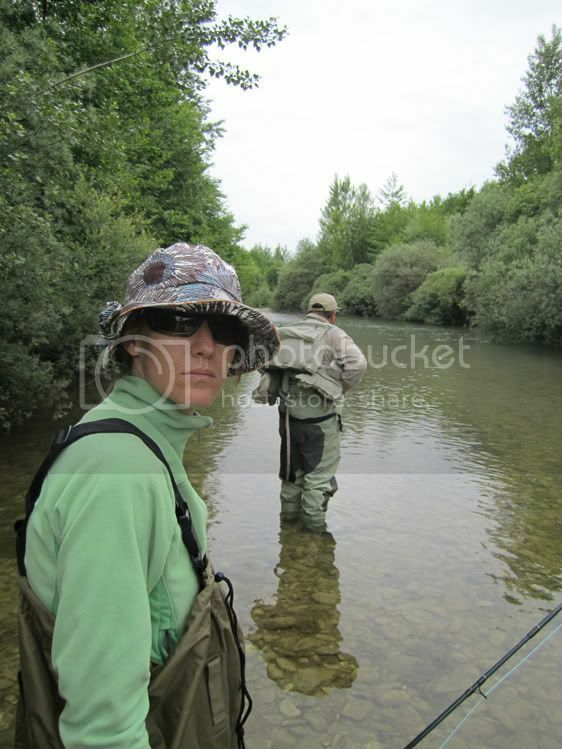 Here is a photo of my wife, all geared up and waiting for Moreno to stalk out some fish for her. The day was a little tough going for my wife. It had been almost a year since her last cast and it took some work getting it back. Moreno was patient and helpful in working on that with her. I know better than getting involved in giving her instruction. For some reason instruction from me is like nails on a chalk board to her. 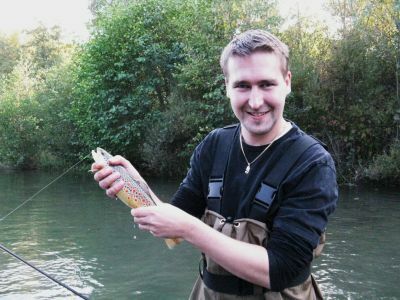 My very first fish of the day was a species that I have not caught before. I finally got my first Grayling! Unfortunately he was a little guy and I have no photo. I was still excited though. 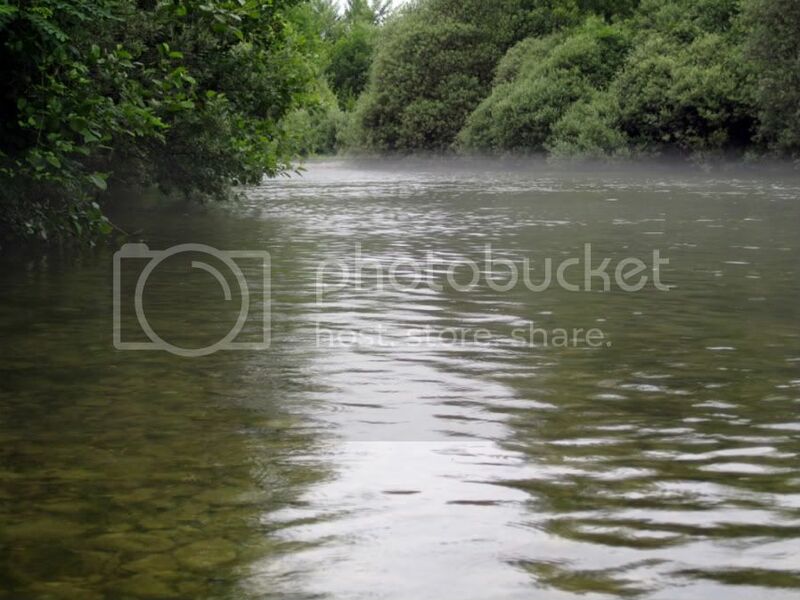 The fish in this river are uncharacteristically strong even though the water is not fast moving. I had several fish steal some line off my reel which I was not expecting. 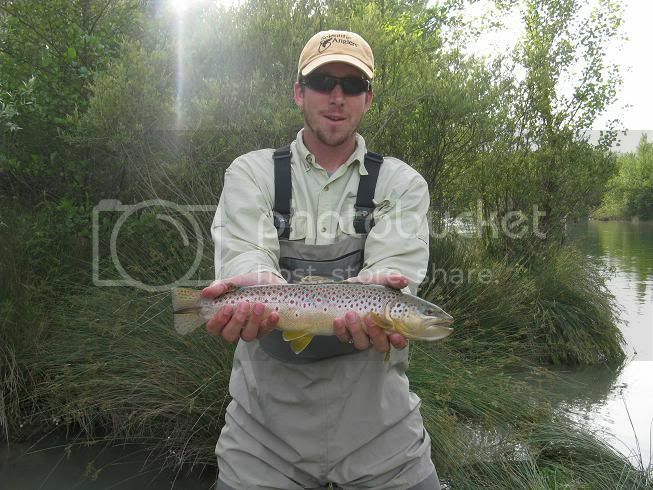 I caught this Brown on a pink marabou streamer on a slight dead drift. We fished this location for the morning and the fish must have been sleeping in late. At around noon Moreno took us back to the clubhouse for a fantastic Italian lunch. Mealtime conversation was pleasant and it was fun asking Moreno questions about Italy and about his family. He is a very interesting person. After lunch we moved down river to a location known locally as "the university". 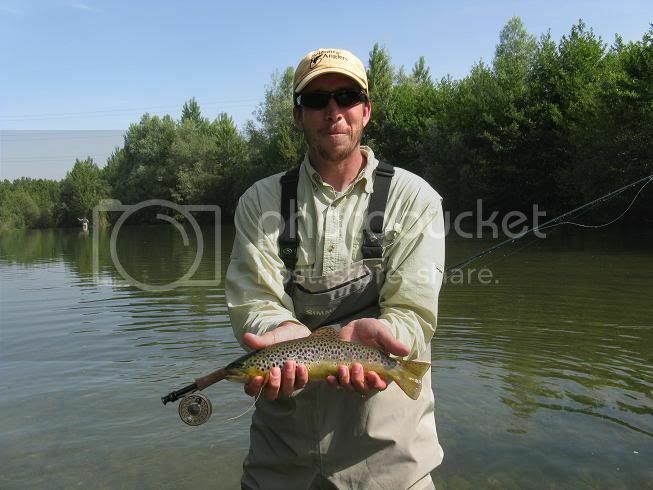 The fish are skilled in the art of dry fly evasion. Oh, I forgot to mention. 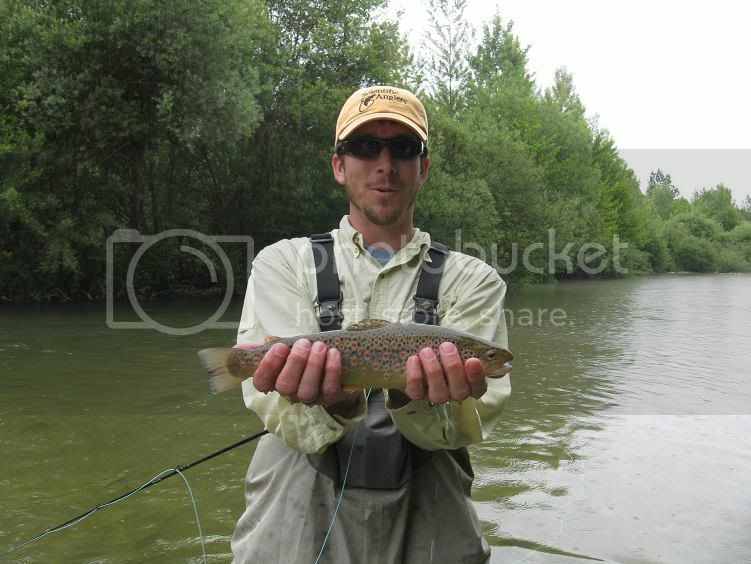 We used dry flies 99% of the day. 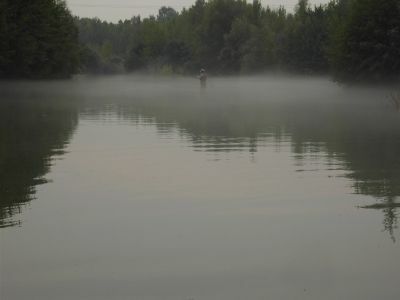 There were TONS of fish to choose from in this location and it was nearly a hundred percent sight fishing. These fish were hungry but dang can they be discerning! 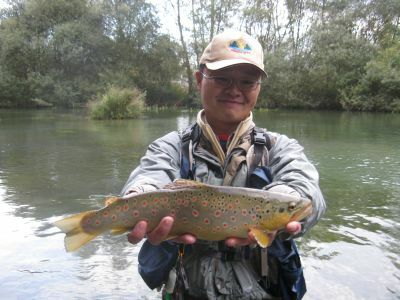 I had browns take not just one look at my fly, but sometimes they would come up and look at it three or four times! Then they would finally decide that it was a fake and cruise back to their ambush spot. I was able to trick a little more than a handful of them though and they rewarded me with a nice fight. Some beautiful fish. We fished until about 8:30pm and decided to call it a night when some lightening storms started moving in. Moreno arranged for another amazing meal at the clubhouse along with some very tasty local red wine. We made it back to our B&B at around 11pm, and Moreno still had another hour of driving to get home. 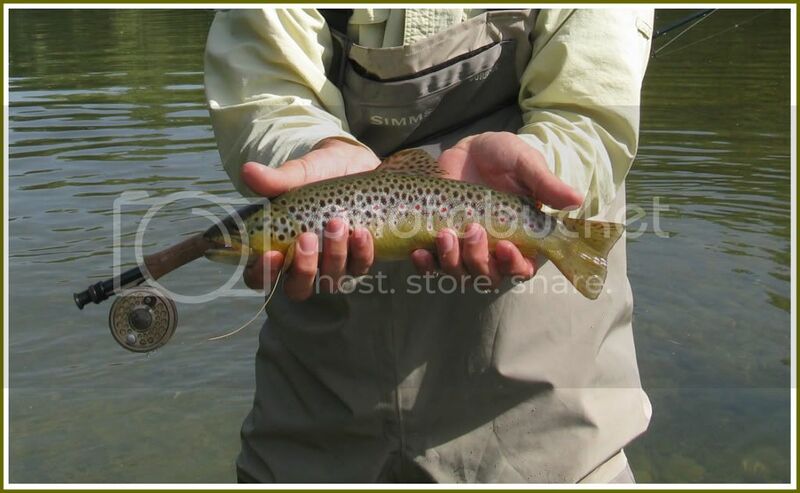 That is what he considers a full day of guided fly fishing. To the guides I have had in the past... take note! I've had some 7 hour guided days, and that included an hour lunch break. 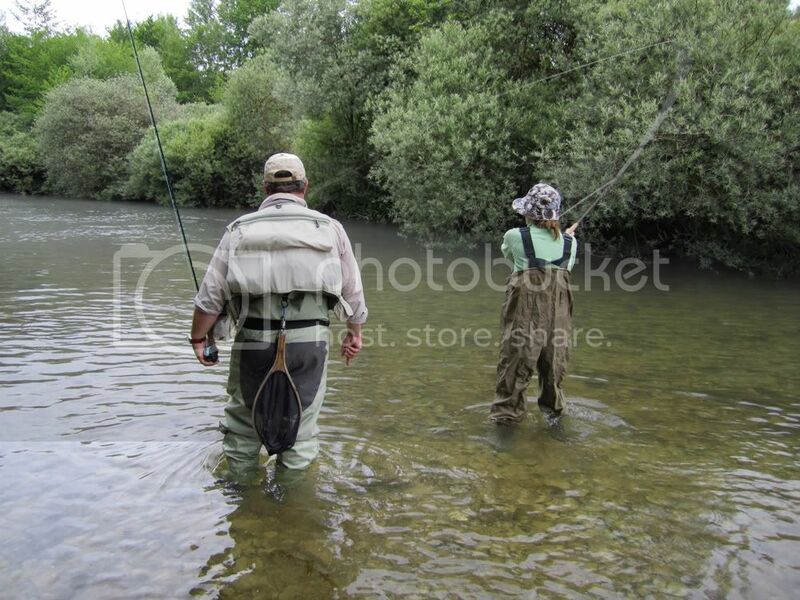 Not with Moreno, you get a seriously full day of fishing. It still went by too fast though. It's funny how days zip by when fish hunting. To Moreno... thank you for a wonderful memory! To the forum members here... if you get "dragged" to Italy with your wife/family I strongly urge you to tighten up a line with Moreno for a day. You'll not forget it.